The perception that electric and hybrid cars are only for certain types of people i.e. those with plenty of money to spend and who have a strong interest in the environment, is changing rapidly. Low and zero emissions vehicles are becoming more popular all the time and green technology is finding its way into other types of vehicles than cars too. 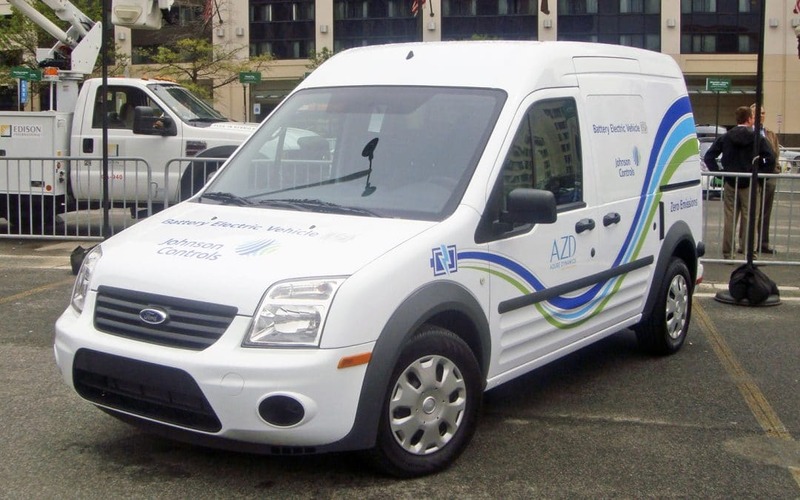 One group of vehicles that is seeing a big investment in green technology is vans. Van drivers make up a huge number of the vehicles on UK roads, especially given the vast number of freelance couriers out there. Although the majority of vans are still run on a petrol or diesel engine, that is likely to change over the coming years. A lot of councils are now implementing strategies to make vans more environmentally friendly and reduce the reliance on fossil fuels. Savings in fuel costs – The savings in fuel costs that can be made be driving an electric fan are significant. Petrol and diesel vans cost a lot to run thanks to their powerful engines. Although running an electric van still requires you to pay for the electricity you use, when compared to topping it up with fuel, the expense is not comparable. Savings in insurance – Van insurance is one of the biggest expenses for van drivers so they are always looking for ways to cut down the costs. Driving an electric van is an excellent way to make a saving on van insurance since a lot of insurers provide discounts for electric vehicles. Electric vans are also a wise investment for companies that own fleets of electric vans, such as courier firms. When the cost of insurance and fuel is calculated over an entire fleet, the savings can be enormous (especially with courier insurance). Savings on tax – Because electric vans do not emit any tailpipe fumes, the costs of tax is minimal, and often free. This is a big bonus for individuals and businesses alike. If you live in London then you also won’t have to pay for the London Congestion Charge if you have an electric van. Quiet and clean driving experience – Electric vans are extremely quiet and provide a very pleasant and smooth driving experience that many people find preferable to a traditional van. Not only are they great to drive but electric vans are also great for the environment since they are zero emission vehicles.